Imagine living and working in an urban oasis - a spot central to all North County - where you can walk to work, bike or hike the local trails, shop at the market across the street and meet friends for drinks down the block. A cosmopolitan center, that sparks a strong sense of place and pride among the people who call it home. 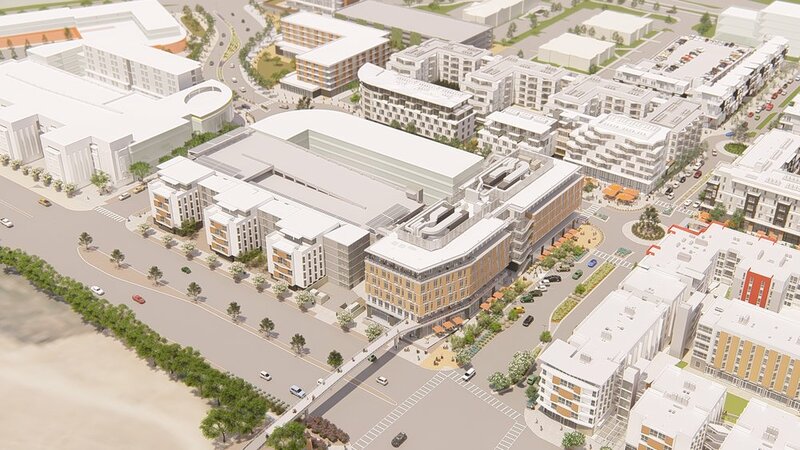 North City’s compact area, strategic location, and easy access to existing mass transit, make it the most exciting new development in San Diego County. our compact, mixed-use design, convenient geographic location and truly walkable neighborhood ensures all residents a healthy, vibrant & active environment. With residential townhomes and apartments, student housing units, high-end and community oriented retail shops, superb restaurants, entertainment facilities and commercial offices located all within walking or biking distance, we're moving our community forward and away from the mundane suburban lifestyle. The North City Development Plan is designed to meet the draft standards of the LEED-ND (Neighborhood Development) Rating System, not to mention the high standard environmental rules set by the City of San Marcos, including a state-of-the-art storm water treatment system for the entire community. Hosted on North City Drive each September. Stay tuned for details on participating restaurants and breweries!